Chris Hardy -- Shoppers scurry to registers at a local Aeropostale during Black Friday. Let’s face it, nobody wants to endure the hustle and bustle of holiday shopping, but what if there are deals involved? It seems that makes a difference. 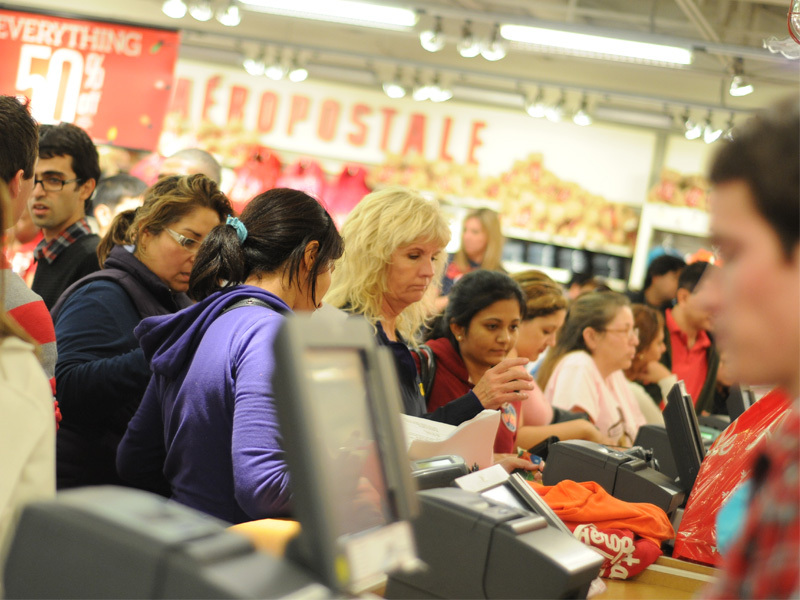 According to the National Retail Federation, this year’s sales numbers reached a record high. Spending reached an all time high this year, as well, with consumers spending an estimated $52.4 billion. What are folks spending all this cash on? Well, according to the NRF, clothes and electronic items are the main moneymakers. Information for this survey was conducted over a 3-day period with a margin of error plus or minus 1.6 percent. Cade Woolsey worked Black Friday at Game Stop in Moreno Valley. The stressful and tiring day ended with good profits for the store.